Bereavement thank you notes might be very painful for you to write, but it's still very important to express your gratitude to everyone who has supported you while you are grieving. Bereavement affects everyone differently, however, I believe that the simple act of giving and receiving thank you notes is an important part of the grieving process. When you've suffered a bereavement, it's all too easy to put off showing your appreciation to the people who have been kind to you and helped you to deal with your loss, whether as friends or as service providers. I too have felt the devastion of bereavement ... losing people who were important to me. When I look back and reflect, I realise that I didn't thank everyone I should have properly at the the time. It's something I now regret. I hope the personal thank you note examples here will help make the task of writing thank you notes easier for you in your time of bereavement. You can find all my sympathy related thank you note wording ideas here ... free for you to copy or personalise and use in your own bereavement thank you cards. 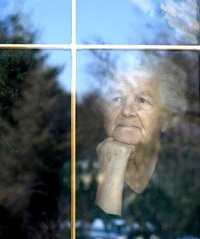 Who Should Bereavement Thank You Notes Be Sent To? To family, friends, colleagues and other people who knew your loved one who have spared the time to pay their respects, by attending the funeral. 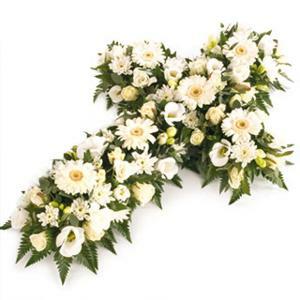 To all those thoughtful, generous people who have sent funeral flowers - to the church, the funeral home or to your home. To people who have made a donation to a nominated charity, instead of sending funeral flowers. To your employer if you have been granted a period of compassionate leave to cope with your grief, before returning to work. To everyone who has supported you at this difficult time - whether by offering support, helping with food, acting as a pall bearer or just simply by 'being there'. To all the professionals who have helped you to cope at this difficult time, including your doctor, funeral director, florist, banker, lawyer or limousine company. You'll find lots of free thank you letter samples here, ready for you to copy and use when a priest, church choir or musician have contributed to making the funeral service for your loved one beautiful. It's not traditional to send a thank you note to everyone who has sent you a sympathy note, however, depending on the number of sympathy cards you have received, you may want to acknowledge these kindnesses with a written note of appreciation too.